“COP negotiations cannot address climate breakdown until Ecocide is recognized as an international crime." Ms Higgins is not afraid to walk her talk. 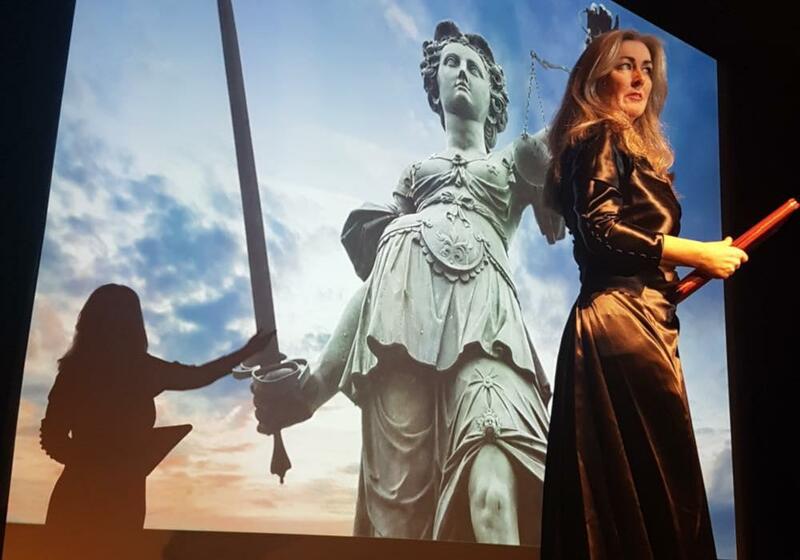 Last Thursday, her non-profit organisation Ecological Defence Integrity launched an independent Preliminary Examination into climate ecocide in the Hague at a special event accompanying the annual Assembly of States Parties to the International Criminal Court, to examine whether a full investigation would be justified if ecocide crime were to be put in place. Ms Higgins even named key suspects - Dutch climate minister Eric Wiebes and Shell CEOs Ben van Beurden and Marjan van Loon. "Climate change related disasters are killing an ever-growing number of people in our region and worldwide. As a result of global warming our region witnesses cyclones of unprecedented intensity, exceeding our coping capacity. "We already see parts of our traditional lands being swallowed by the sea, we see corals dying as a result of ocean acidification and warming, and we face increasingly harsh weather conditions that are unknown to us, and hostile to our traditional way of life. The root causes of climate change - resource exploitation at alarming rates and massive clearance of natural forests - also have spill-over effects on our water catchment sources and ecosystems.